UNITED NATIONS, Oct 9 2015 (IPS) - The United Nations has always remained one of the most vociferous and passionate advocates of human rights – exemplified in the creation in 2006 of a 47-member Human Rights Council in Geneva to uphold its mandate. But, in its own political yard, a member of its extended family, namely the World Bank, is apparently working at cross-purposes. Philip Alston, the U.N. Special Rapporteur on Extreme Poverty and Human Rights, has lambasted the World Bank for either marginalizing or ignoring human rights in its policies. In its operational policies, in particular, “it treats human rights more like an infectious disease than universal values and obligations,” says Alston in a new report published online. “They invoke the Articles of Agreement, which were adopted in 1945, and argue that this clause, not to interfere in States’ political affairs, effectively prohibits the Bank from engaging with issues of human rights,” Ashton says. Meanwhile, in a submission to the World Bank, which began its annual meeting in Peru Oct. 9, Human Rights Watch (HRW) said the Bank’s draft social and environmental safeguard policies fail to enforce the Bank’s responsibility to protect the human rights of vulnerable communities affected by projects it finances. “Two words – ‘human rights’ – are missing from the safeguards’ requirements and should be a priority during this week’s meetings,” said Jessica Evans, senior advocate and researcher on international financial institutions at Human Rights Watch. “It is astounding and disappointing that the Bank can put forward policies that purport to ‘safeguard’ poor and vulnerable communities without committing to respect their human rights,” she added. Asked about the contradictory roles of the United Nations and the World Bank, Sarah Saadoun of Human Rights Watch told IPS the Bank has made a habit recently of responding to calls to ensure its projects respect human rights by saying that it is not a human rights tribunal. But as an international organisation and a specialised U.N. agency, it has a responsibility, derived not least from the U.N. Charter, to respect human rights, in addition to the human rights obligations flowing from its member states, she said. In any event, Saadoun said, the World Bank, as part of the U.N. family, should be working to strengthen and promote the international human rights system. Instead, it scrupulously avoids reference to human rights standards in its existing and draft safeguard policies. She also said the Bank has been trying to overcome its history of sometimes supporting projects with devastating impacts on poor and vulnerable communities, such as by adopting and now reforming its safeguard policies. Twenty years ago, then-president of the World Bank James Wolfensohn took on what was known as the “c-word” – corruption – previously a taboo topic at the Bank due to misguided claims that addressing corruption would conflict with the its non-political mandate, Saadoun said. “It’s high time President Jim Kim do the same for the ‘r-word’: human rights,” she declared. In his report, Alston says that – despite their legal arguments – the World Bank’s real reason to avoid dealing with human rights is clearly political. Countries that borrow money from the Bank, or member states that are critical of human rights, don’t want the World Bank to turn into a ‘human rights cop’ that meddles in their internal affairs,” says Ashton. “It is striking how little thought has been given to what a World Bank human rights policy might look like in practice. 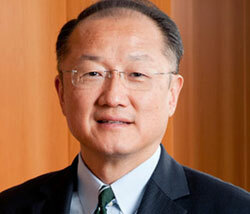 It is now time for World Bank President Jim Yong Kim to take the initiative,” Alston says in his report. In a statement released Oct. 8, HRW said the Bank’s rejection of the human rights framework and the suggestion that human rights are merely aspirational, undermines decades of progress in setting international standards that the governments of nearly all World Bank member countries have agreed to respect. It also runs counter to its poverty-alleviation mandate. Development scholars and practitioners, including World Bank researchers, have long made the case that respect for human rights is critical to achieving inclusive sustained development, HRW said. This is not true, Human Rights Watch said. Other multilateral development banks and international agencies, recognizing that respect for human rights improves development outcomes, have incorporated human rights commitments and standards into their safeguard policies.